Accused of political bias, McCabe faced attacks from President Trump and some congressional Republicans. NBC News reports that FBI Deputy Director Andrew McCabe, a frequent target of public attacks from President Donald Trump, is stepping down, effective immediately. 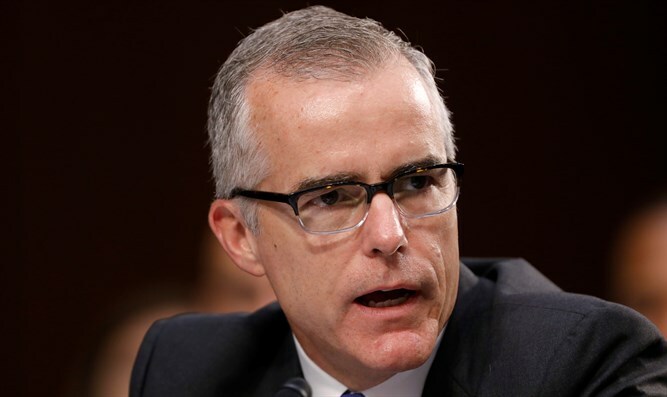 The Washington Post reported in December that McCabe was planning to retire in March, once he become fully eligible for his federal pension benefits. He is still planning to leave the bureau then, though he is leaving position of deputy director immediately. McCabe has for months been under attack by Trump, who tweeted suggestions that the Russia probe is politically motivated by Democrats upset over losing the 2016 election. First nominated by President Obama in 2016, McCabe served as acting FBI Director from May to August 2017 after President Trump fired James Comey. In August he was replaced by current FBI chief Christopher Wray.